Earlier this summer we praised the rise of the nano-brewery – the tiny one or two tank brewery, open to the public, making great craft beers such as those from Buckle Down Brewery near Chicago, IL. We enjoy the standard micro-brews as much as the next beer-crazed locavore, from the long standing traditions around Milwaukee, WI (Sprecher, Lakefront, and the more recent Milwaukee Brewing Co.) to the rabid fan-base growing around Grand Rapids, MI with good cause. But we’re talking here about the start-ups, the tiny places, the ones where the founder is the brewer and maybe 50% of the workforce. This is one step away from home-brewing. These places have a very different feel. There is passion, there is ownership, there is just a bit of tension about how it will all work out. These places reflect the founders tastes directly and are inherently hyper-local. 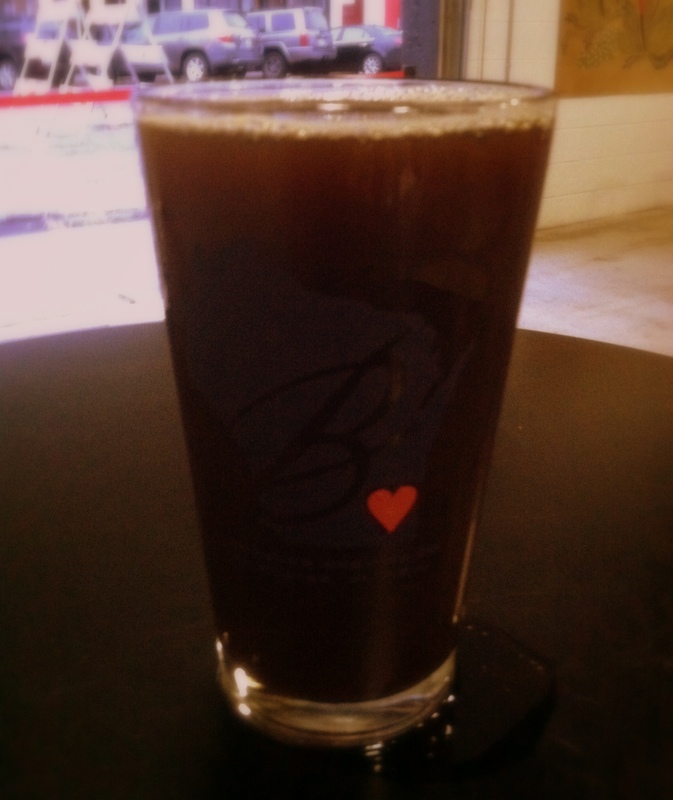 A recent addition to the nano-brewery scene in Milwaukee, WI is Brenner Brewing from Mike Brenner. A recent networking event held there allowed for a tour and tasting of their beers. As with so much of culinary scene we explore here at Great Lakes Cuisine, the offering from Mike are both throwbacks and completely modern. 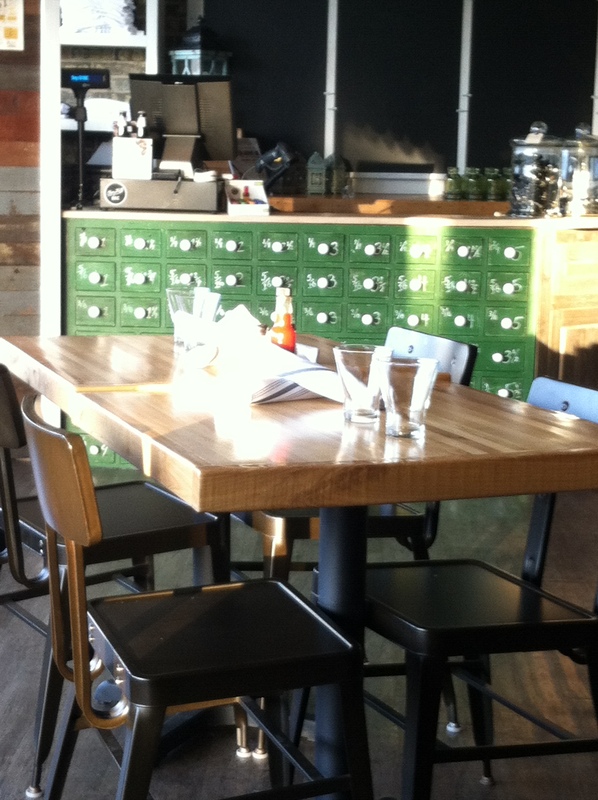 The bar in the front of the brewery is simple, clean and opens to the outside street by garage door. mike was there to talk us through the tour, his background, and a selection of the beers on tap. Mike is probably most proud of his City Fox Pale Ale, and justifiably so. We also enjoyed the Star Baby IPA (shown above), which benefits from the addition of lightly roasted malts and open fermentation tanks. The result has all the hop finish expected in an IPA, but starts closer to a fruity flavor, balanced with a bit of maltiness. This isn’t a single note IPA. But the real conversation starter was the Brenner Brewing version of a Rauchbier called Bacon Bomb. The Rauchbier style is not often seen, but the key ingredient is smoked malt. 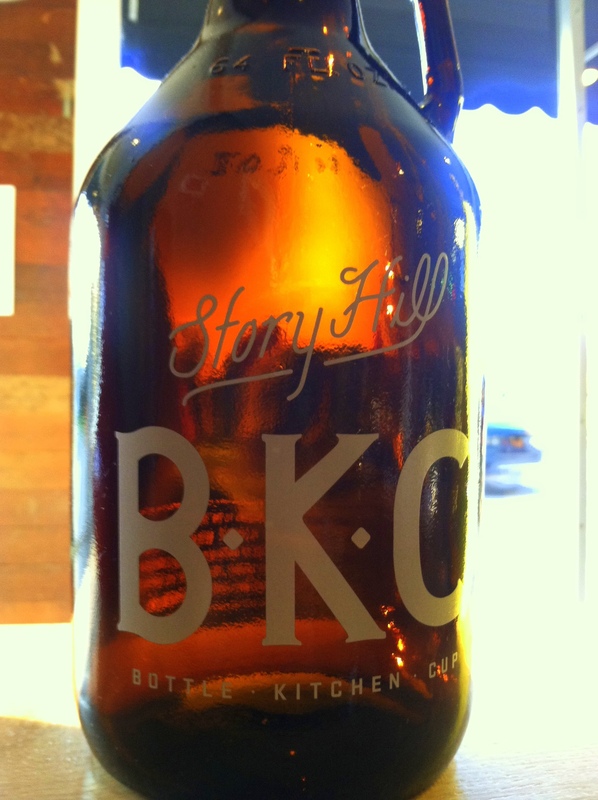 Here is how Brenner Brewing explains it – “A blend of German beechwood and Wisconsin cherrywood smoked malts. Noble German hops, chocolate wheat, and fresh black pepper add a subtle bite. The yeast strain keeps the body light to balance the huge flavors and nose…” It tastes like liquid bacon in the fullest, meatiest expression. It immediately brought to mind our bacon-infused bourbon experiment, though Mike assured us not a bit of actual bacon was used in the brewing of this flavor explosion. Here is how the German Beer Institute website explains the rauchbier style. Once upon a time, all beers were Rauchbiers, so to speak. The term Rauchbier simply means “smoke beer” in German, and with the ancient kilning methods of drying green brewer’s malt over open fires, all grains picked up smoky flavors and passed them on to the beers made from them. Today, however, with “clean” malt being the dominant brewing grist, old-style “smoke beers” have set themselves apart as an atavistic rarity, a throwback to a time gone by. The similarity to the Scotch whiskey distillation process is interesting, though in the brewing tradition in the US, the full flavored approach was dropped with the rise of factory brewing. Diversity of flavors, approaches, and ideas of what a great beer should be were subsumed by the homogenization of brewing companies. This, in it’s essence, is what nano-brewing is all about; bringing back “ancient” methods and making a thoroughly modern brew that is so unique it could only appeal to a few, passionate souls who partake of it. This is the meaning of craft. This is Great Lakes Cuisine. My Uncle Lee is not actually my uncle. He is a long-standing family friend, so much a part of our family in my early years, he simply became known as Uncle Lee. He has moved out to Colorado, but he was the latest of many generations in the Milwaukee area where he inherited a love for chicken dumpling soup. When I was about twelve years old, he showed me how he made egg drop dumplings by dripping spoonfuls of egg batter into a swirling pot of chicken soup made from scratch. 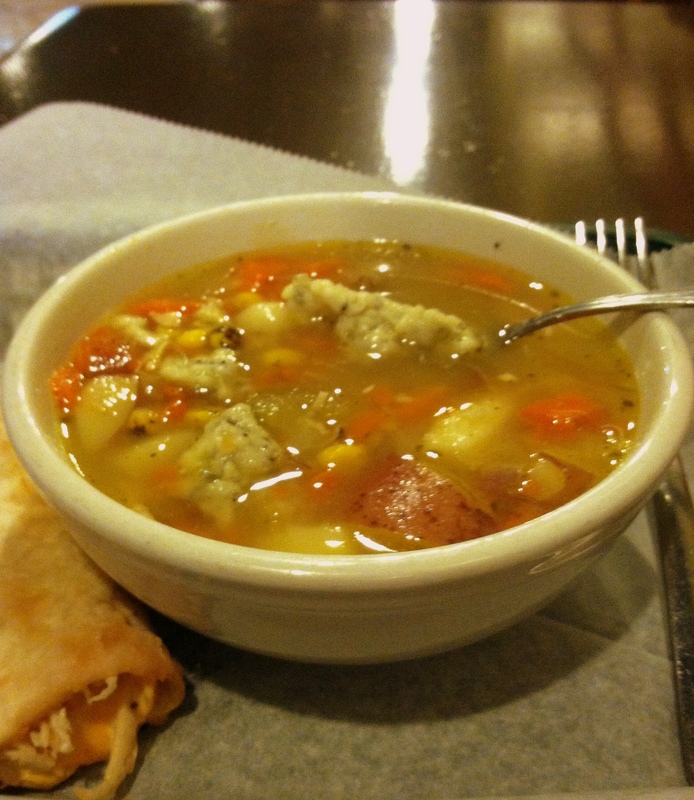 You can find great versions of chicken dumpling soup all over the Great Lakes. My personal favorite is from The Uncanny Soup Company, which just opened a retail location downtown Milwaukee, but has been in the frozen section of grocery stores in the area for years. For me, and for many, dumplings have a uniquely evocative capacity. Something about the texture, taste, warmth generates emotions, creates connections very quickly and deeply. 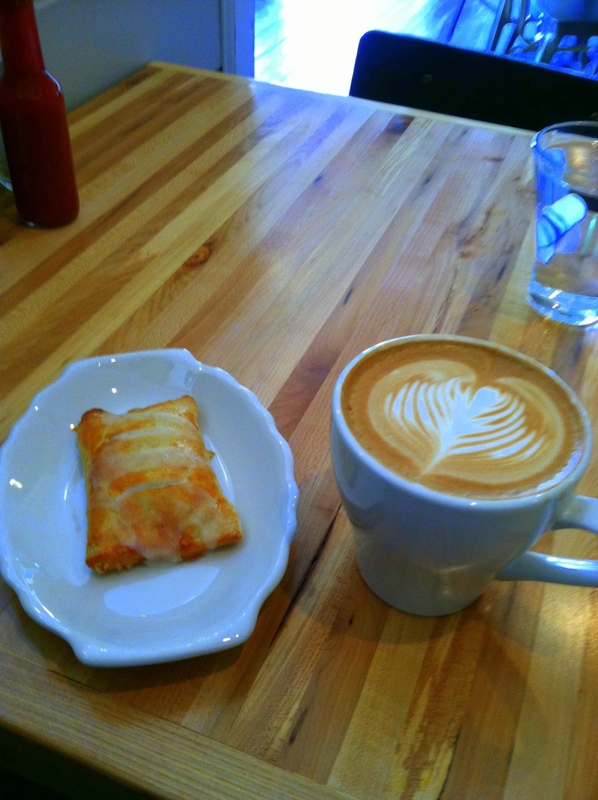 It is comfort food to the core. Recently, a social media connection lead me to the work of Dr. Jennifer Jordan, an Associate Professor of Sociology at University of Wisconsin-Milwaukee. In the Spring 2008 edition of Ethnology, she published a piece on the cultural symbolism of dumplings. She was specifically detailing the effort in Upper Austria of make the dumpling a cultural icon of the region. Rather than paraphrase the work, let me share with you a number of quotes that capture not only the unique place a dumpling fits in culinary culture, but also how food becomes part of the cultural identity of a region. The latter issue is the very heart of our effort here at Great Lakes Cuisine. Dr. Jordan goes on to relate the process of cooking a specialty dumpling in the home of her Austrian host, from getting the right meat mixture from the local butcher to the proper technique of forming the dumpling. It is worth the read and can be accessed here. She ponders the process of taking a “down-to-earth” culinary tradition and elevating it to the position of cultural icon. No different really than our positioning of apple pie in America. Or the efforts we make on this site to connect humble dishes to a regional culinary identity. We find ourselves in agreement when she draws the academic piece to a close this way: “…attention to dumplings promises further insight into the connections between cultural and culinary, and the many ways that the simplest foods can also be powerfully complex.” (p.121) Amen. Let’s eat. The many smaller lakes in the Great Lakes region provide a variety of species of fresh water fish. Some folks shy away from preparing the Northern Pike due to the additional row of bones (“Y” bones), which can make it a bit trickier to prepare. There is a fairly simple technique to handle the bones, detailed nicely here. But my current favorite preparation is to pickle the pike in a similar manner to herring. The pickling brine dissolves the additional row of bones and allows for cleaning the fish in a standard fillet. The result is a very firm, delicious pickled fish flavor, unlike the far more oily herring, which stays soft even upon pickling. 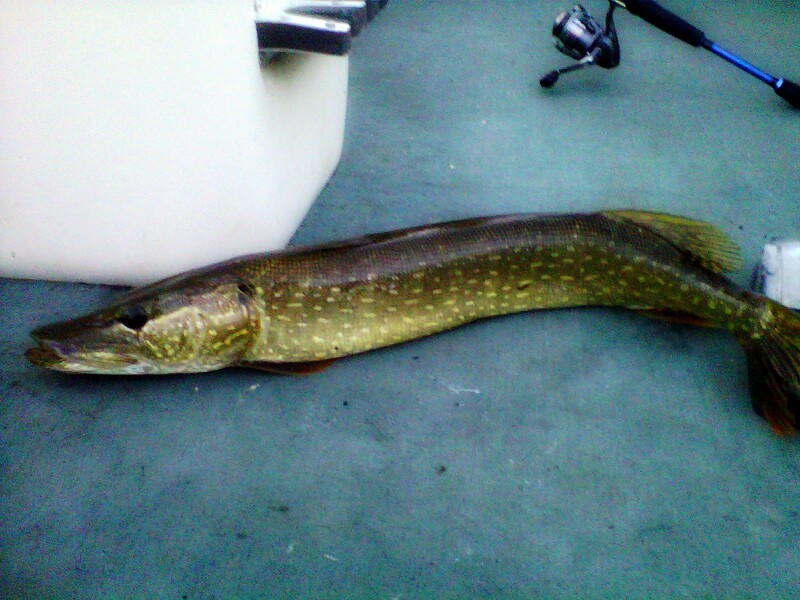 Pike strike hard and are aggressive fighters. They have a nasty habit of swinging their toothy jaws violently back and forth as they are brought into the boat. They’re a lot easier to handle on the pontoon boat than in the row boat, but the firm, white flesh is worth the bit of adventure. 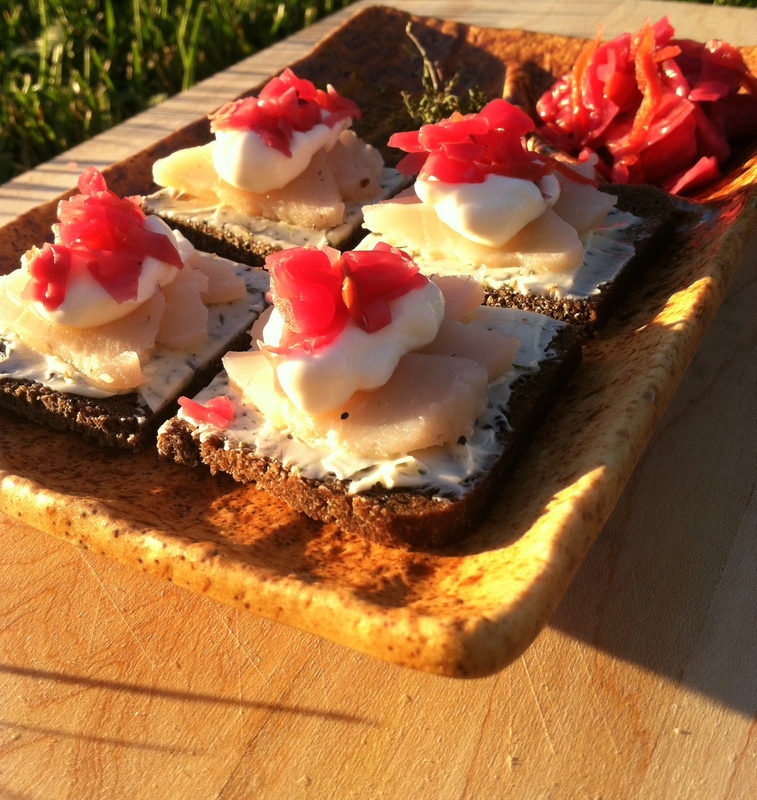 We prepared them according to the following recipe and then enjoyed them as a local version of traditional smørrebrød. Dark rye, herb butter, pickled pike, sour cream, pickled red cabbage. Dissolve 1/2 cup salt in 2 cups of cold water and place in non-reactive container to fully submerge the fish. Refrigerate for 24 hours. Drain, rinse, and cover with white wine vinegar. Refrigerator for 24 hours then remove and drain. Heat 1 cup wine vinegar, 1/2 cup sugar, 4 cloves, 2 bay leaves, 1 tsp. mustard seed, 1/2 tsp. whole allspice, and 1/2 tsp. whole peppercorns in a medium saucepan over medium heat until boiling, then allow to fully cool. Thinly slice 1 sweet onion. After pickling brine is fully cooled, place fish and onions in jars and cover with brine. Refrigerate for at least one week.